It's been a busy and productive first 100 days in office for the UK's first Green-led council. Since their historic victory in May, Brighton and Hove City Council's 23 Green Councillors have launched a series of initiatives to deliver their three main priorities: tackling inequality, involving the community more deeply in decision-making, and making the Brighton & Hove the greenest city in the UK. 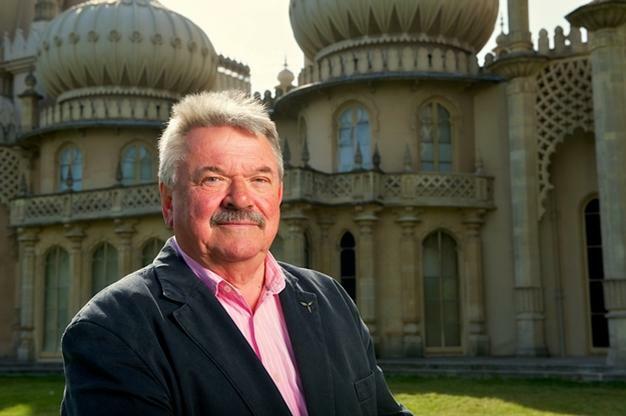 Brighton & Hove City Council Leader, Bill Randall (below), said: "Residents of Brighton and Hove voted for a change, and they will see services to the city's most vulnerable residents protected, communities more involved in making decisions that affect their lives and the introduction of practical measures to protect and improve our environment. 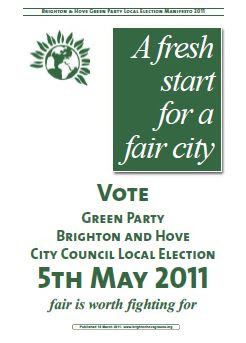 "The city faces unprecedented and reckless public spending cuts imposed by the Tory-led coalition government. Nevertheless, we remain determined to address the city's housing crisis, reduce chronic inequality and at the same time protect and improve our environment to deliver our vision of a sustainable and fair city. "We are exploring all possible avenues to provide more affordable homes, upgrade and green our existing homes and, at the same time, create training, apprenticeships and jobs for local people. We are working with Brighton Housing Trust on plans for an ethical lettings agency that would give the city's 28,000 private sector tenants a better deal. "We have also produced plans for a Tenant Scrutiny Panel to give council tenants the right to scrutinise any issue of concern to them about the way their homes are managed. Closer partnerships have been forged with the East Sussex Credit Union, the CAB and other organisations in our drive to tackle financial exclusion. "Air pollution is choking our city, and traffic makes some streets dangerous for children getting to school. Since May we have secured more than £4 million of extra funding that will make it easier and safer to cycle and improve the air quality and the health of the city. "It's early days and we face difficult challenges, but I firmly believe we're on the right track."